Bicycle Hire in Sussex, Surrey, North Downs, South Downs, South Coast, London area. Southwater Cycles is situated on a farm in beautiful countryside on the Drungewick lane cycle route which joins the Wey and Arun canal path passes through Loxwood, Alfold, Dunsfold and is also close to the Downslink Cycle route from Guildford past Bramley, Cranleigh, Rudgwick in Surrey on to Shoreham past Christ Hospital, Southwater, Copsale, Partridge Green, Henfield, Bramber in West Sussex. Allowing for mixed ability cyclists. "Exploring the Sussex Countryside is only 45 miles from Central London and 29 miles from Brighton"
" The Southdowns National park is on our doorstep"
We Hire Mountain Bikes, Tandems (We now have a fleet of 10 tandems), Pedicabs, Rickshaws, Hybrid Bikes, Hybrid Electric bikes, Road Racing Bikes, Tricycles, Junior Racing Bikes, Kids Bikes, Folding Bikes, Child Trailers, Child Trailer Bikes, Dog Trailers, Indoor Turbo Trainers, Bike Transport Boxes. All bike Groups are supplied with a Helmet, Trail Rucksack which includes a pump, puncture repair kit, Spare inner tube, First Aid Kit, Lock, Tools and a route map. Single or group hires of up to 32 hire bikes can be delivered within a 50 mile radius including Chichester, West Wittering, Bracklesham Bay, The Witterings, South Coast, Littlehampton, Lewes, Worthing, Guildford, Dorking, Brighton, North Downs, South Downs etc . Please ask for a Quotation. Possible Cycle Hire Events & Occasions ie: Tandems, Pedicabs, Cycle hire for Weddings, Proms, Stag Do's, Hen Do's, Picnics, Film Props, Corporate Team Building, Birthday Party Rides, Charity Ride Events: BHF London to Brighton, Prudential RideLondon 100, Campsites, Scout Groups, Overseas Visitors, Active Days Out etc. Photo ID and Security Deposit required for each booking. Helmets are included in bike hire. All Hire Bikes are UK specification with the right hand brake lever operating front brake. Local Attractions, Campsites, Country Pubs and Cafes. Sumners Ponds Campsite is set in tranquil West Sussex countryside amongst 100 acres of lakes, woodland and pasture. Fishers Farm Park is the top, award-winning family visitor attraction. The Mucky Duck Inn is a Free House pub and B&B located at Tisman's Common, Rudgwick. The Limeburners Pub and campsite! 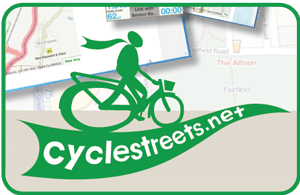 Plan your cycle journey in the UK with CycleStreets!